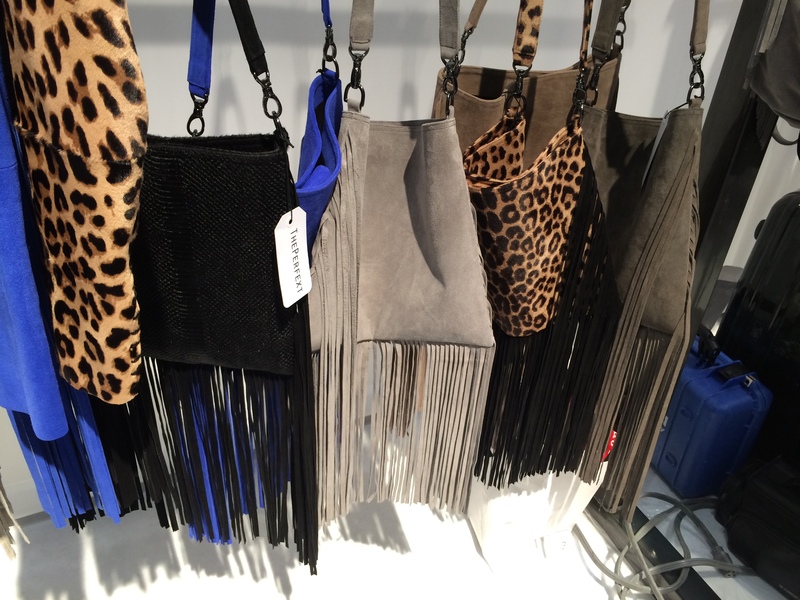 Last week we went to the Coterie apparel market at the Jacob Javits Convention Center in New York. Self-described as “a premier global marketplace that bridges apparel and accessories designers to the international Who’s Who of Retailers,” this is the largest show of the year. It is so huge that it’s really hard to describe just how many vendors and buyers attend. It is always held after the official New York Fashion Week. Fashion Week is full of runway shows meant to impress celebrities and the press. The following week, it’s time to get down to the business of fashion. For Tres Mariposas buyers, this September trip includes a couple of days at the huge convention center show and a couple of days dashing to showrooms from one end of Manhattan to the other – Seventh Avenue, Soho, and Midtown. Market is not all glamour. For instance, the Meat Packing District of Manhattan is now a “cool” fashion district. That means riding up a nasty, grungy freight elevator to see the Rag & Bone showroom. 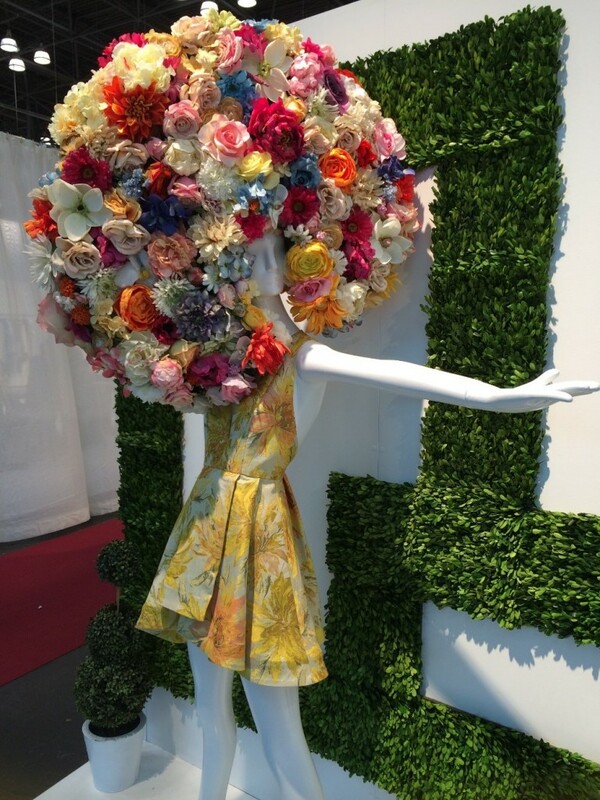 The Coterie is miles and miles of designer booths displaying their lines for the Spring 2014 season. 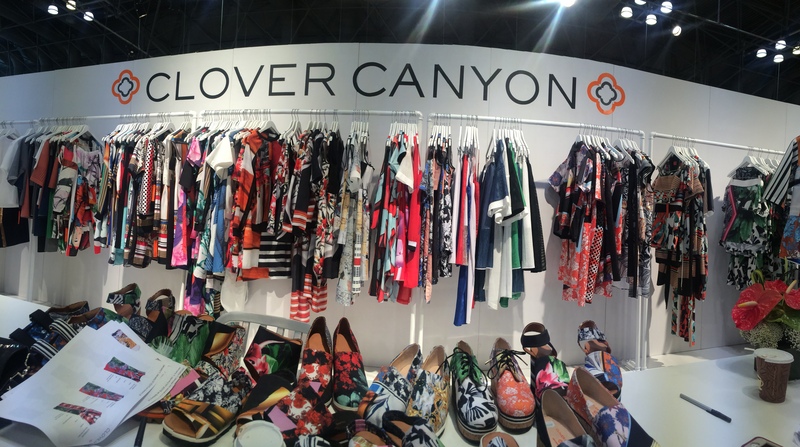 Clover Canyon is one of the most popular vendors due to their innovative mixing of prints and fabulous bright colors. 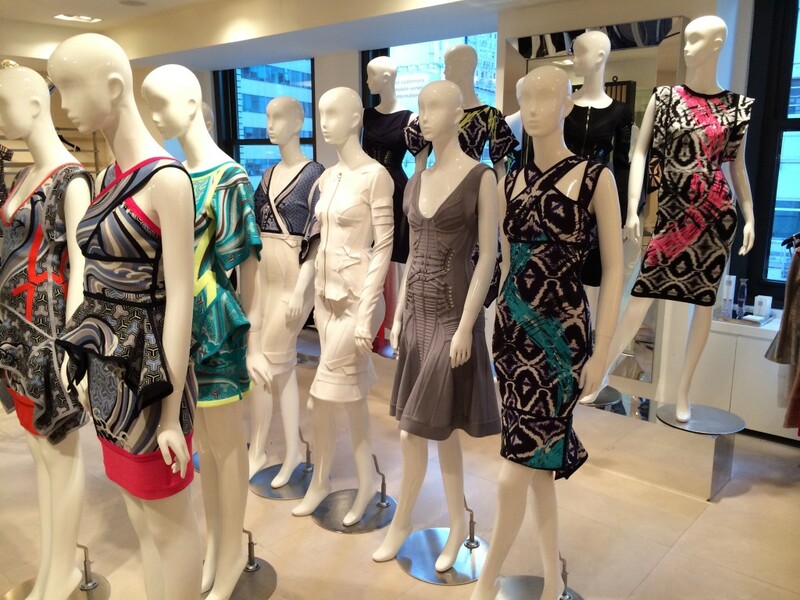 Herve Leger, king of body conscious dresses, has an amazing showroom. The “Edit” show was a small, exclusive segregated area within the giant Coterie venue. Vendors and buyers had to go through a rigorous vetting process. Whew! Tres Mariposas passed inspection. 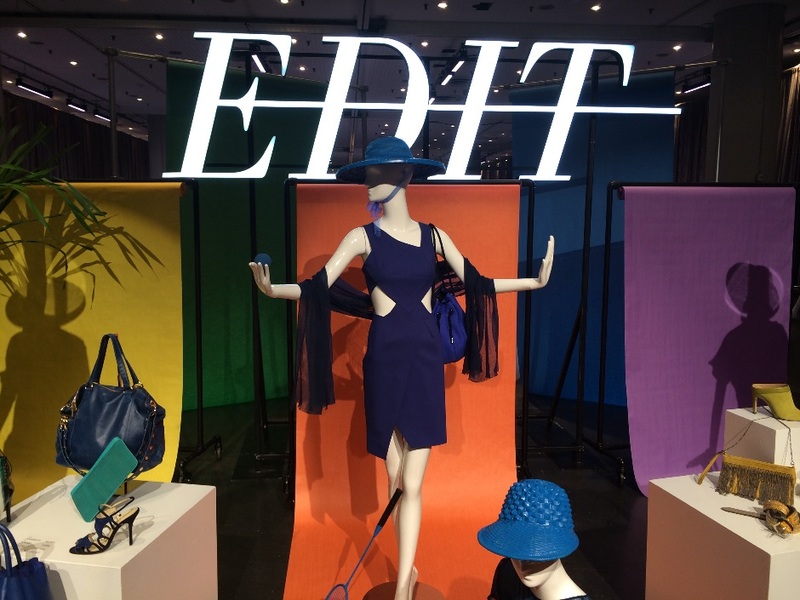 Most of all I enjoyed the colorful sophisticated displays at the entry to Edit. Sometimes it’s hard to get work done because of the distraction of amazingly entertaining visual displays! Alice and Olivia is a line full of young creativity. The fringe trend isn’t stopping anytime soon. Go ahead and splurge. A TRES customer, KC Nelson, happened to be in New York also. Our contemporary buyer Gesuina Legaspy (right) and KC are excited to discover they have the same phone covers. 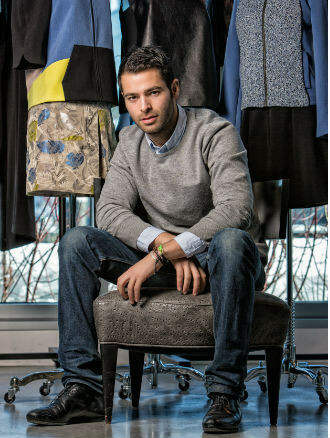 Jonathan Simkhai is a relatively new designer we discovered. He started working in a boutique when he was 14. A few good people helped him along the way and he’s making it in the fashion world – not easy to do. This photo is in his showroom. He was adorable to visit with. Our trusty travel agent, Priceline, put us at the very wonderful One UN Plaza Millennium Hotel. 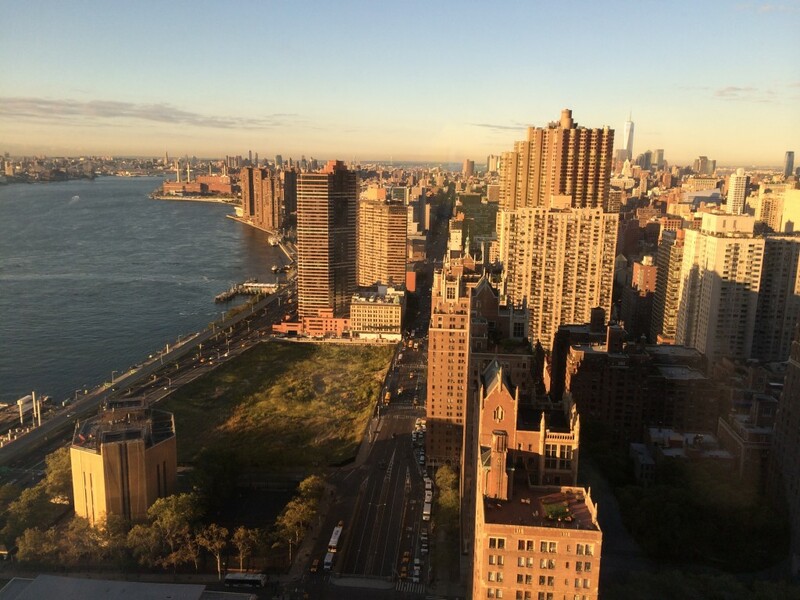 Our 35th-floor rooms had a magnificent view of the East River and the city as well as the United Nations complex. Each morning when I got up I opened the curtains and felt exhilarated because it was so stunning, as you can see by this view from my window. Before going to bed at night, I marveled at the city lights reflecting in the river. Speaking of New York rivers, we all remember US Airways pilot “Sully” Sullenberger, the “Hero of the Hudson.” He executed that emergency water landing after his plane was disabled, saving every passenger and crew member. When I see that murky river water, I am in awe of that safe landing and admire Captain Sullenberger’s skills even more. I’m also proud of my son Creed, an Air Force pilot – he now shares a distinction with the hero: they both have received the Jabara Award from their shared alma mater, the U.S. Air Force Academy. Creed thought he was in mighty fine company to get the same award as Sully. To stay ahead in the retail industry, owners of all kinds of stores work to keep up with the latest new products in their field. No matter what you’re selling, you need to stay apprised of trends in your niche – and be ready to tell your customers about them. In the world of fashion, new trends are what inspire us and keep our jobs fun. We are always curious about what’s coming down the pipeline from Parisian runway to Dallas showrooms, from visionary couture to reasonably priced ready-to-wear. It’s not enough to just name a trend to a customer; we retailers need to understand that trend and know how a new trend can make a customer look great. I can’t speak for retailers in other industries, but in the fashion world, we often watch presentations by designers who talk about new trends and then share it among ourselves in the store. 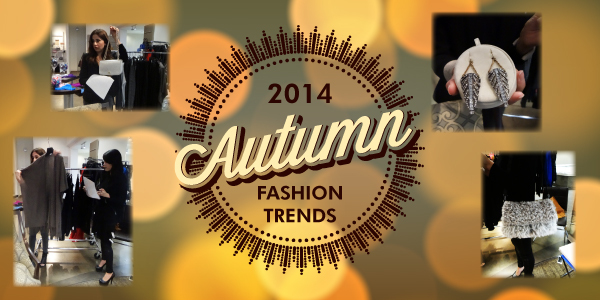 Last week, two of our younger “fashionistas” held a fall trend presentation for the staff and it was excellent. We’d love to share their fall 2014 recommendations with you. Chunky Knits: Fall’s favorite sweater can be dressed up or down. Heavy knits paired with J Brand skinny jeans and booties are an effortless yet chic way to wear this trend. For the more fashion forward: pair your chunky knit sweaters with dressier pieces like pencil skirts and kitten heels. Shades of Grey: Grey is the new neutral. Worn monochromatic or paired with blush, black, or white separates, grey is becoming a staple in contemporary style. This fall we’re seeing everything in grey: handbags, shoes, tops, and, of course, denim. Grey is a color storm that should not be taken lightly. The New Pant: The choice for fall pants styles all depend on the consumer. Thanks to the vast difference between our trendy jogger pants and the classic skinny, your pant game can go either way. The main focus on the pant trend is to keep in mind proportion and body type. Fringe: The one word that describes this trend is IMPACT. From bags to cardigans, fringe is the overstated accessory that every it-girl has her hand in. Depending on your level of comfort in the trend, it can be as subtle as a fringed cardigan or as dramatic as a cropped fringe vest or fringed cross-body bag. Shoulder Bags: Shoulder bags used to be classified as ladylike quilted bags. 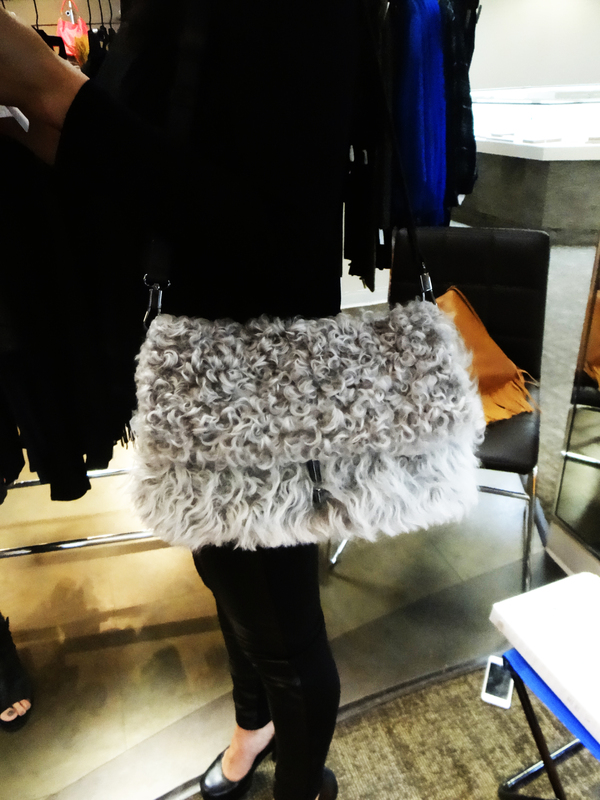 This season the shoulder bag is also offered with tomboy qualities. Spacious and easy to tug around, the shoulder bag is giving the backpack a run for its money. Stacked Rings: The trick is to create your own unique look. Mixing metals and pairing gold, silver, and rose gold together can be gorgeous and so distinctive. The one rule is balance. Be creative! 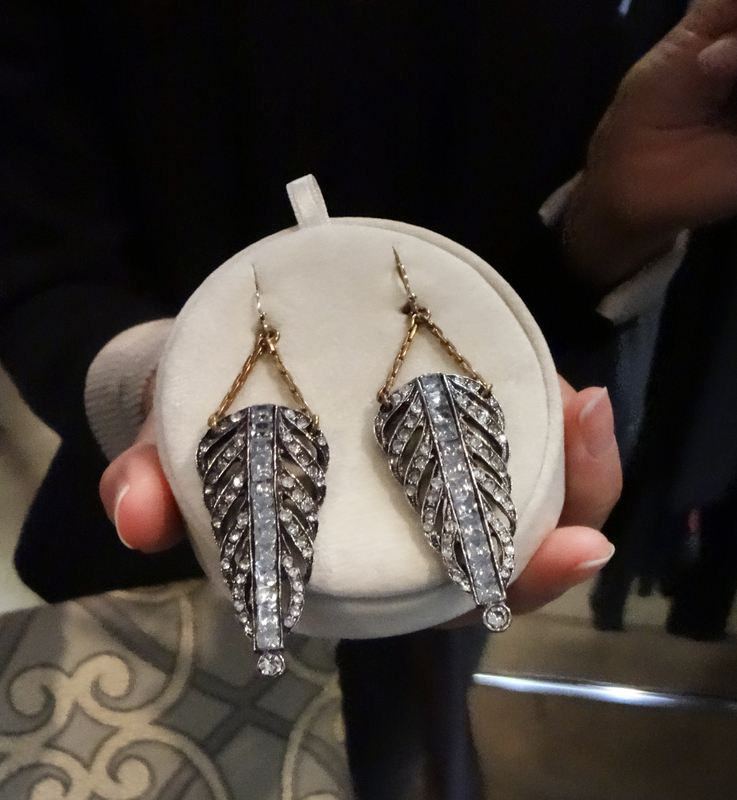 Statement Earrings: While certainly dramatic, these decadent baubles are also festive and elegant. Statement earrings offer a modern way to energize just about any look imaginable. For the more fashion-forward, an ear cuff is the way to go. Today’s column is by my friend Cindy Graff Cohen, a fan of fashion history and fine fabrics. 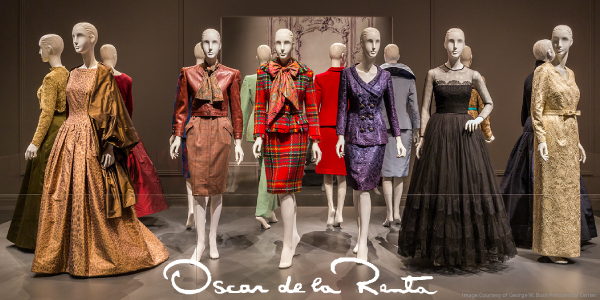 She called me last week excited about a landmark fashion exhibit in Dallas: “Oscar de la Renta: Five Decades of Style.” It sounds lovely – a great combination of runway style, red carpet glamour, and historic moments! Every so often, a major art museum hosts a retrospective of a great designer and if I can just get there, Nan lets me write about it. 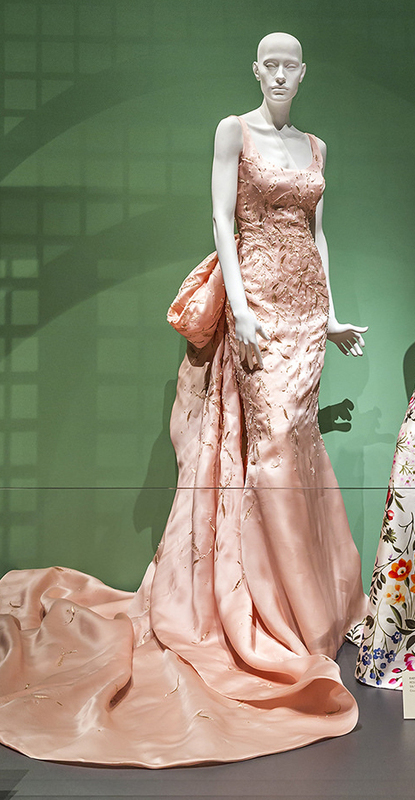 In this column, I’ve previously marveled at Cristobal Balenciaga’s sophisticated evening gowns at the DeYoung Museum of Art in San Francisco and Jean Paul Gaultier’s theatrical creations at the Dallas Museum of Art. However, this time the most exciting fashion exhibit anywhere this month is at a presidential library: the George W. Bush Presidential Library and Museum on the SMU campus. 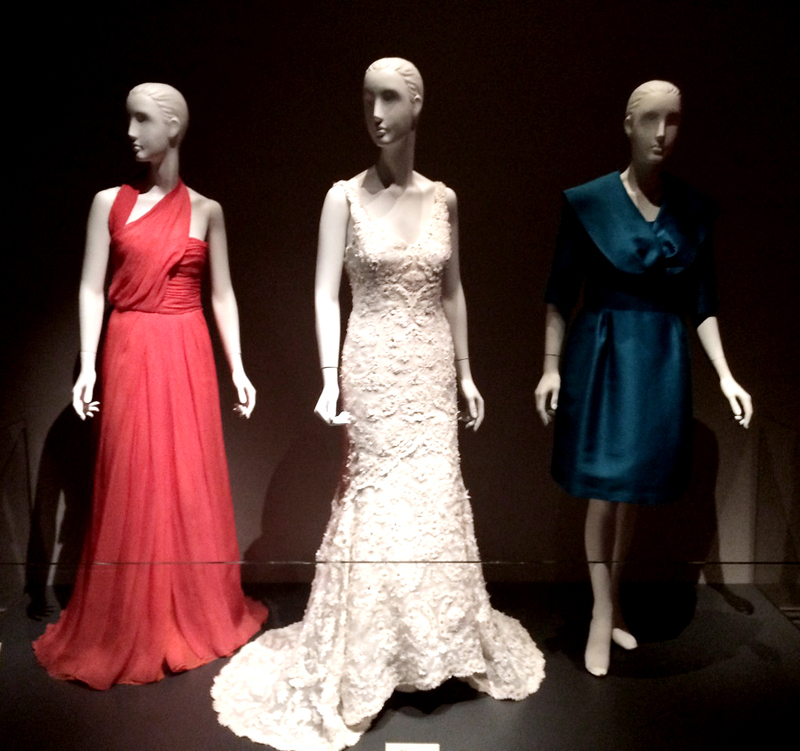 “Oscar de la Renta: Five Decades of Style” is a dazzling collection of work by the designer who created gorgeous clothing for three First Ladies: Nancy Reagan, Hillary Clinton, and Laura Bush. The show features more than 60 outfits, including more than a dozen outfits worn by those three high-profile women. When you think about the personal styles of each of these women, you kind of scratch your head and wonder how one designer could have clothed each so beautifully – and through such disparate fashion eras, from the big-shoulder ‘80s through this decade – yet de la Renta created just the right look for each president’s wife. In the introductory video, Laura Bush describes what makes de la Renta’s designs so admired. 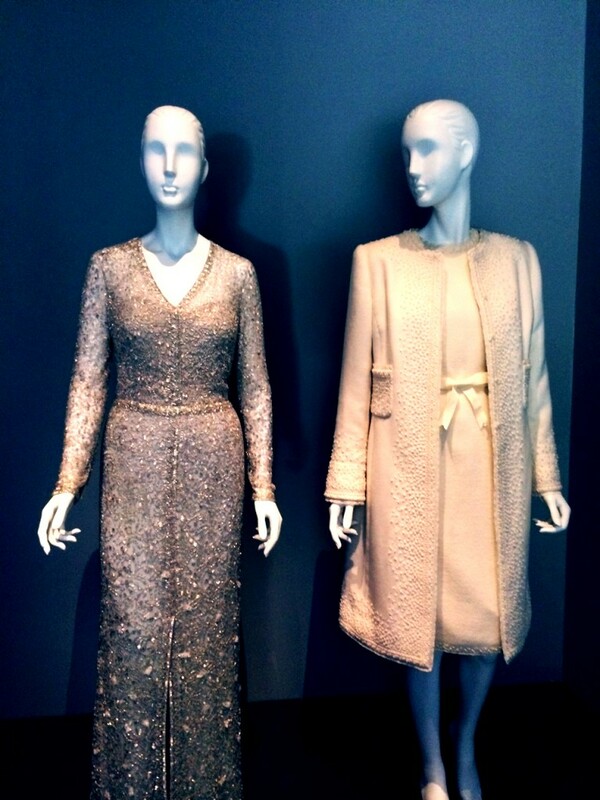 “Oscar is the loveliest man,” she says, “and he really likes women!” The exhibit opens with two dresses she wore at the 2005 inauguration: the winter white wool boucle dress and matching coat for the ceremony and the silver silk sequined gown for the inaugural balls. “You can wear Oscar’s clothes over and over and I have,” she adds. A real standout in the show is Jenna Bush’s wedding dress. I listened to a couple of little girls say it was their favorite dress there; they just stood and stared at it, kind of like me. “There was only one designer for Jenna to choose for her wedding dress,” Bush said in the video. 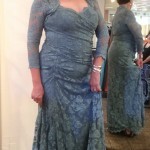 Next to the gown is the blue silk suit that the proud mother of the bride wore to the 2008 wedding; on the other side is a graceful red de la Renta gown their other daughter, Barbara, wore to a UNICEF ball. Some of de la Renta’s classic creations are timeless, such as the simple gold gown Hillary Clinton wore to an inaugural ball. Others, like Nancy Reagan’s almost comical big-plaid wool suit with a huge paisley bow tie, are best seen as period pieces of a strange fashion hiccup. Academy Awards. Vogue editor Anna Wintour also loaned a couple of her de la Renta outfits. Although his exclusive ready-to-wear lines are worn by discerning women all over the world, he does have a gift for working with special clients, including Mercedes Bass, who sponsored this splendid exhibit. 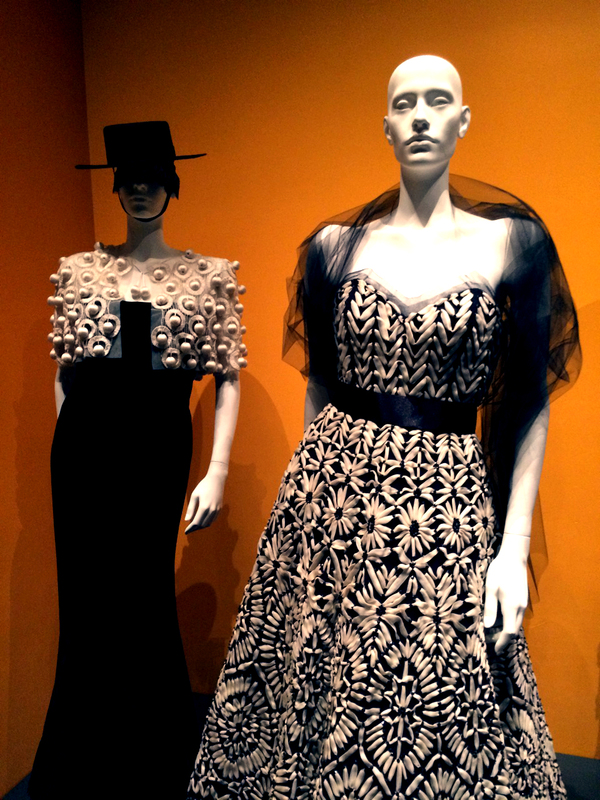 She loaned several of her own dresses, including two striking black and white Spanish-influenced gowns from 2006. The designer, who was born in the Dominican Republic, launched his career in Madrid, where he trained at the Balenciaga studios – you can see how he was influenced by Spanish culture and art. Later he moved to Paris to work at couture design houses including Lanvin and Pierre Balmain. However he has lived in New York City since the 1960s and he became a U.S. citizen in 1969. Ever since, he certainly has done his part to keep America beautiful. The Friends of FEMAP (Federación Mexicana de Asociaciones Privadas) Annual Gala is one of the most successful El Paso social events due to passionate support on both sides of the border. This year’s gala will be September 26 at the El Paso Convention Center. I can’t wait to see how the amazing volunteers turn the Convention Center into a Brazillian Carnival Extravaganza. It promises to be a color explosion. FEMAP has an amazing track record in its mission to raise the quality of life among people living in poverty. Over the years, the group has raised funds to develop and run many life-saving services in Juarez, including two full-service inpatient hospitals and a nursing school. They have implemented numerous community-based programs to promote health, children and adolescent’s emotional and physical development, and economic growth through a micro-finance program. I have always marveled at FEMAP’s gritty determination to serve. Adolpho Telles, president of the FEMAP Foundation board, describes his first visit six years ago to the neonatal intensive care unit and seeing blanket-covered wooden fruit boxes with lights to keep babies warm because the unit’s equipment couldn’t keep up with the number of patients. In addition to its annual fundraising efforts, FEMAP leaders are conducting a capital campaign to raise $15 million to add hospital rooms and help build a new facility for the School of Nursing in Juarez. Generous and compassionate people in El Paso and Juarez have continued to donate money and services to keep up. Last week, Tres Mariposas hosted a Pre-FEMAP Gala cocktails and dress viewing party and donated 15 percent of sales to FEMAP’S capital campaign. It was fun to witness the energy, excitement, and merriment of FEMAP supporters. We had quite a lively time: ladies having so much fun trying on special dresses and best friends goading each other on to experiment with new styles. Some women went for some of this year’s special occasion trends, such as fabulous laces, ruffle backs, exposed zippers, illusion sides or back. Emerald green is a hot color this year and some of our ladies looked fabulous in today’s neutral lighter colors. Other women were drop-dead gorgeous in red. It was interesting that I heard several women say they just really feel the most comfortable in black – and they looked great, too. By the way, no need to drive home after dancing all night at the FEMAP Gala. The Double Tree Hotel nearby the Convention Center is offering a special rate so you can stay the night. Friday, September 26, 2014, 7:00 p.m.
CLICK TO SEE THE GOWNS! 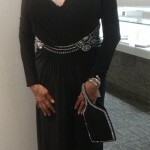 FEMAP Supporter Dolores Scott in Olvi’s stretch French Lace. Meet Temple St. Clair, Florence’s Last Society Jeweler. What is Going on With Retail? Boots: How high will you go?